2019 Sportsman 247 Masters with Yamaha F-300 XCA and EZ Loader aluminum trailer! Dealer prep and freight included in price. SC Sales tax and title not included in price. The Masters 247 defines what a family-friendly bay boat should look like and its popularity is still as strong today as it was when it was first introduced. There are many reasons for that but this year we've taken it to the next level. 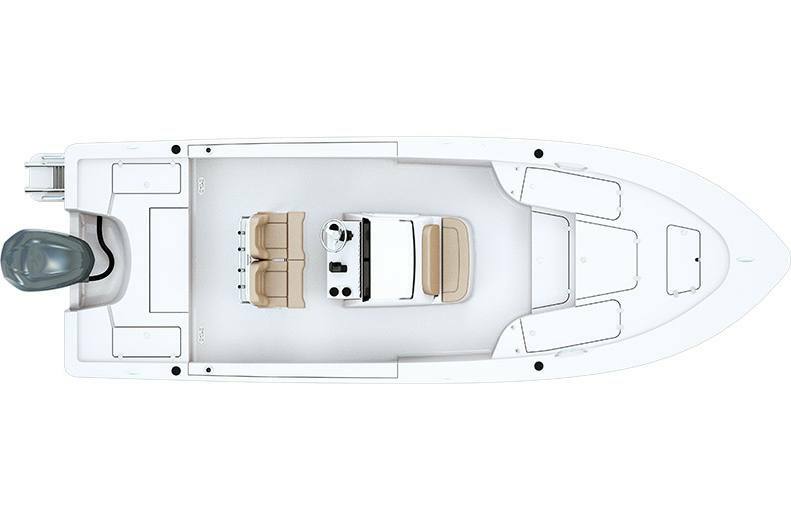 The 247 is now equipped standard with the redesigned deck layout which features bigger bow storage, under gunwale rod racks, a large console with inner liner, fiberglass hard-top, 12” GPS display and upgraded leaning post seats. Length: 24 ft. 4 in. Beam: 8 ft. 5 in. Approx. Fuel Capacity: 71 gal. Deadrise at Transom: 15 deg. Approx. Dry Weight: 2,750 lb. Approx. Bridge Clearance w/ Top: 8 ft. 0 in. * optional item. may not be applicable to all boats. The information provided is intended for informational purposes only and is subject to change without notice. Information may be changed or updated without notice. Sportsman Boats may also make improvements and/or changes in the products, pricing and/or the programs described in this information at any time without notice. contact your local dealer for details. Not all options listed can be equipped at the same time. Some options may require other options.